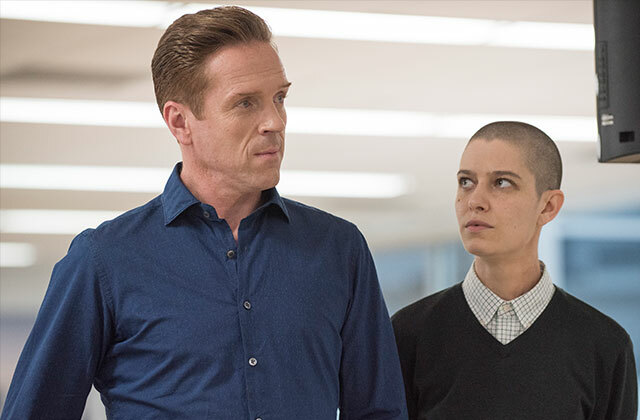 Non-binary actor Asia Kate Dillon (right) playing the role of Taylor Mason on Showtime's "Billions." (AP) TV series are including more LGBTQ characters and adding gender-nonconforming ones, but there's a need for richer, more complex stories about them, according to the media advocacy group GLAAD. LGBTQ depictions increased in the current season across broadcast, cable and streaming platforms, the group's annual Where We Are on TV study released Thursday found. Shows contributing to the change include NBC's reboot of "Will & Grace" and "The Deuce" on HBO. "While we're pleased to see numbers on the rise, consideration of how LGBTQ characters are woven into story lines and whose stories are making it to screen is crucial for judging progress of the industry. And there is still work to be done," Megan Townsend, GLAAD's entertainment research and analysis director, said in a statement. Of the 901 characters set to appear regularly on prime-time network series in the 2017-18 season, 6.4 percent are identified as gay, lesbian, bisexual and transgender or queer. That's the biggest percentage on network shows found in the study's 22 years, topping last year's record-high of 4.8 percent. The numbers also are up on cable and streaming platform series, although the study found fewer depictions of LGBTQ characters of color on streaming as well as broadcast. For the first time, GLAAD counted "non-binary" characters - those that don't identify strictly as male or female. It found four non-binary characters across all TV platforms, including actor Asia Kate Dillon's Taylor Mason on Showtime's "Billions." While women make up an estimated 51 percent of the U.S. population, they're 43 percent of the regularly appearing characters on broadcast TV - a 1 percent drop from last season, GLAAD said. Among regular and recurring LGBTQ characters on broadcast networks, lesbian representation rose to 24 percent on broadcast and 21 percent on cable, both representing a 7 percent increase after the 2016-17 season in which a number of lesbian or bisexual female characters were killed.